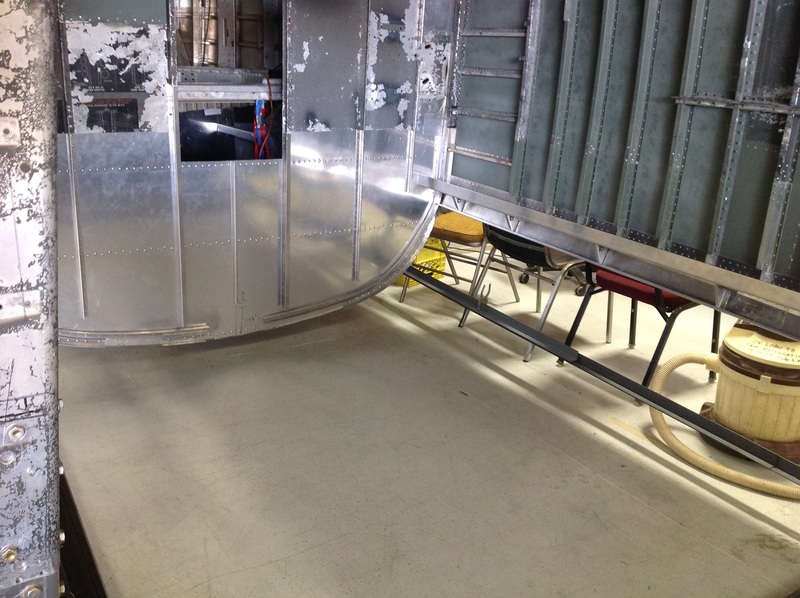 We have recently received parts necessary to start the repair process of the rear bomb bay side panels. 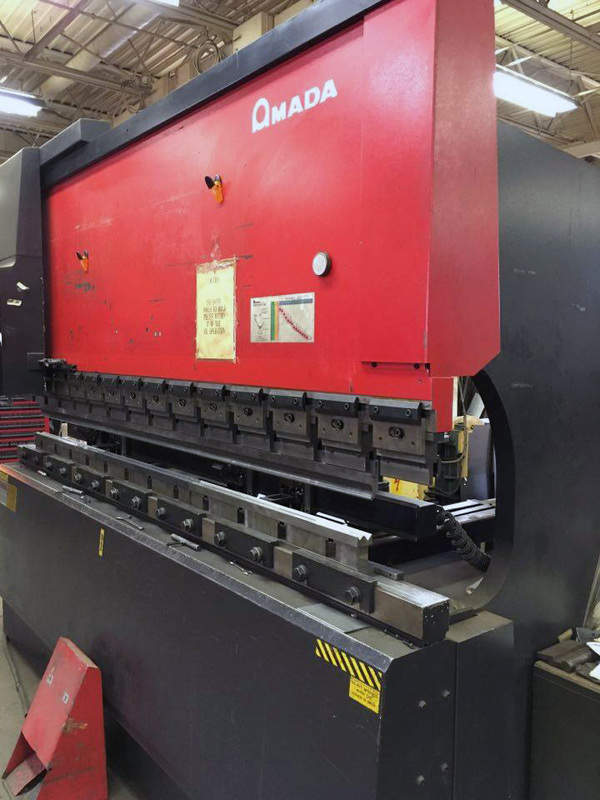 Sections of Y36-48 zee stringer were fabricated in a press brake at a local shop. After the zee stringers were completed, the Longeron sections were formed at eight foot lengths. It was best for fabrication to remove the physical splices of the four panel subassemblies, Items 19 to 27 and 20 to 28. 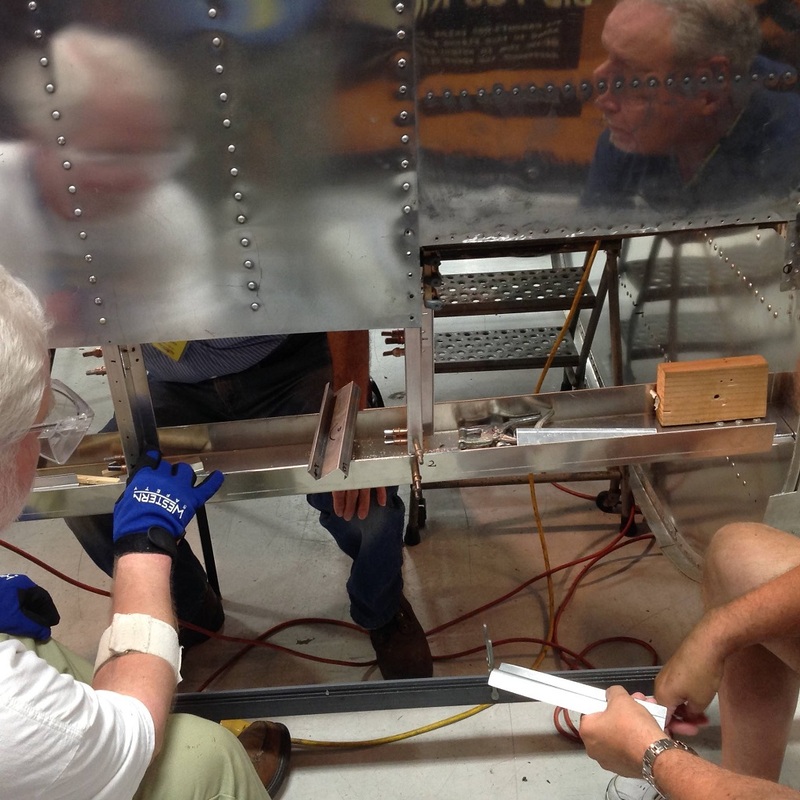 Before we can position the Longeron sections, we need to repair the lower scraped channels of the Station 5.1 rear wing spar bulkhead. Currently, we have placed the left splice section, locating holes, and splice plates. The left and right channel repairs could be completed by early next week. I’m hoping to have the Longeron sections in place by Thunder. Last edited by ChrisAldridge on Sun Oct 02, 2016 12:40 pm, edited 1 time in total. We have attached the left longeron and have completed three of the stringer splices, work is progressing. I'll post current photos soon. Awesome thread Chris, always appreciate the updates. That brake certainly looks the business! Doesn't it? In September the team completed the mounting of the left side longeron piece. Originally this section of the GK32B2013 longeron assembly was two pieces with a splice at Station 5.2. We have made a single eight foot section to reduce work by the outside fabrication shop. In the future, a splice could be added from the longeron section at the Station 5.0 area. Since we are not able to rivet the longeron flange to new channel splice, they're advantages of using bolts. At the end of September, the team only has three vertical stringer splices left to install for the left side. Man I am grateful for people with the patience to do this work - I am impressed! No doubt, it takes so much patience and vision to tackle a project like this. The project display has served to cover the WW-II theme of the current museum floor well. The tail section had quite of a life story from the crash to when the project was reset. 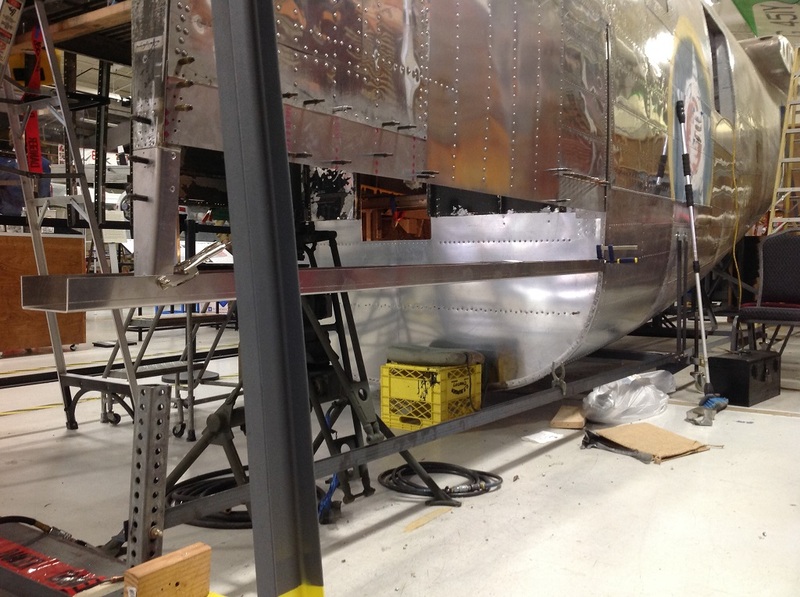 I did not believe we could have rebuilt the waist gun area and forward without completely removing the upper PB4Y-2 Longeron on each side, since the fire warped the sections out of fuselage contour line. The fire and salvage operation damaged the formers around the teardrop turrets and in front. Everything above the main lower Longeron sections and in front of Station 7.3 was unusable for the first project team. Stringers of the fuselage bottom near Station 6.2 were crushed a foot in from the salvaged end of the tail fuselage. We could have rebuilt the roofline and waist gun areas, but it was agreed to join the sections was the best option to save either from the obvious. The team is currently only able to work one day per week, but we are very excited to work when we can. 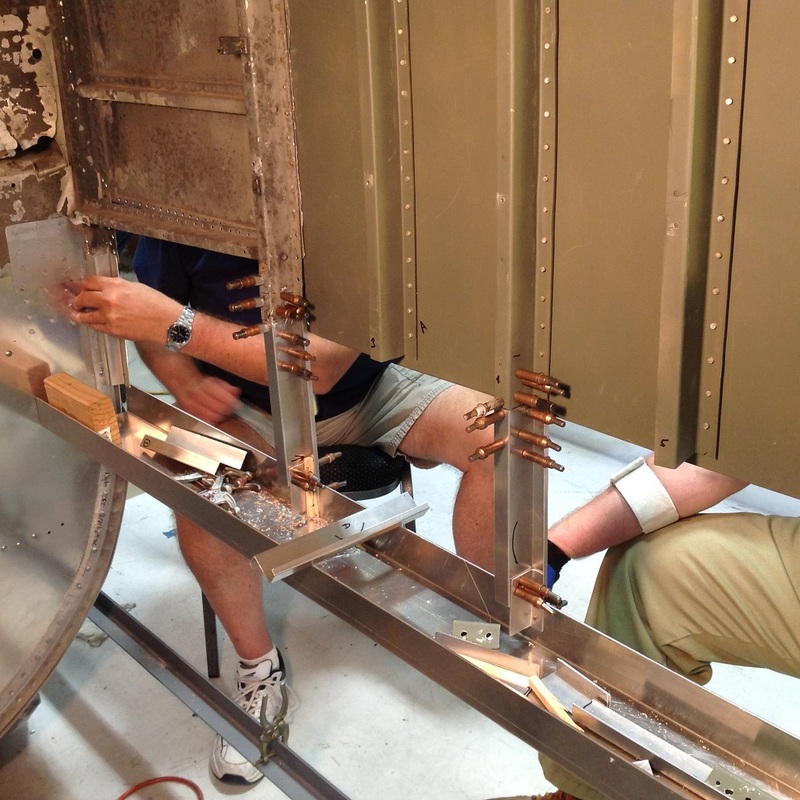 Just last week, the crews have completed the vertical stringer splices for the bomb bay side panels. 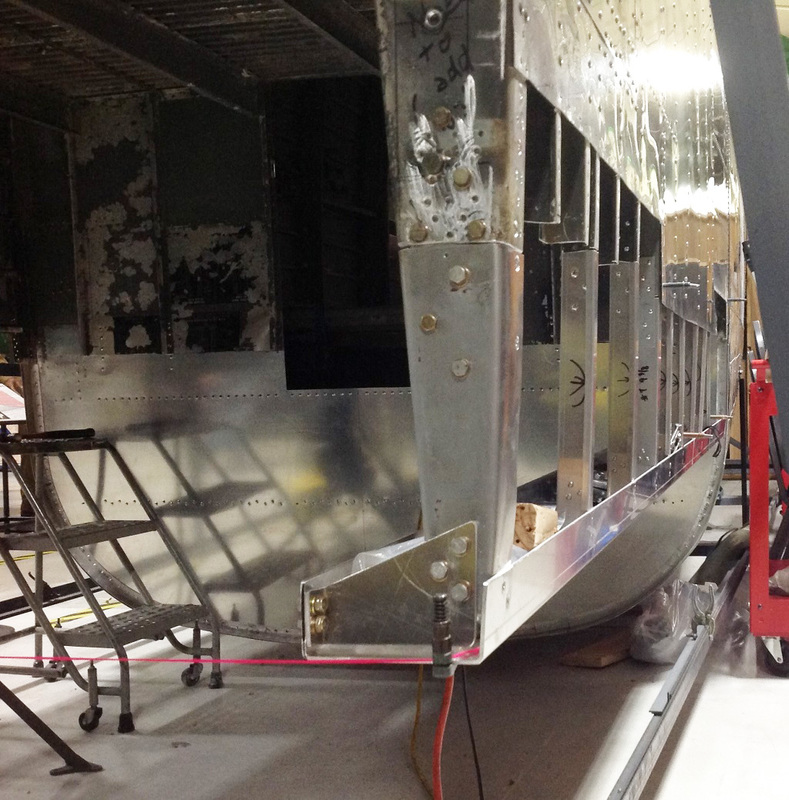 Before we can skin the sides, we must complete the installation of the track sections on the Station 6.0 bulkhead. After the track is positioned, the web reinforcements can then be cut and installed. Moving forward, the bomb bay skinning could start before the end of the year. At the Longeron area, the bay doors close flush with a set of fairings mounted to the Longeron’s on each side. 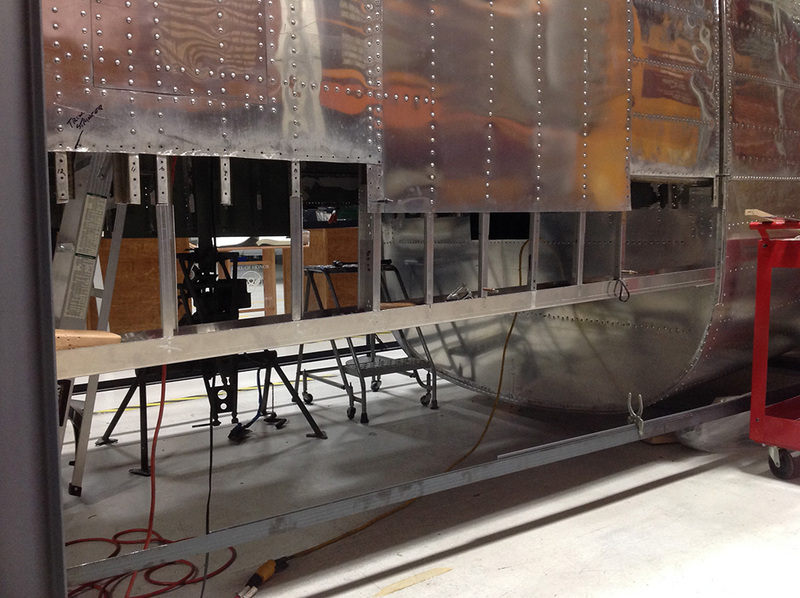 The fairings terminate the lower structure of the side panels, and were completed in November. I would like to try and investigate the microfilm drawings for the attaching brackets with the Inventor CAD model in progress. Once the fairings are installed, the project will have finished the currently planned major structural repair work. The next update will cover design and fabrication of B-24 specific metal items. 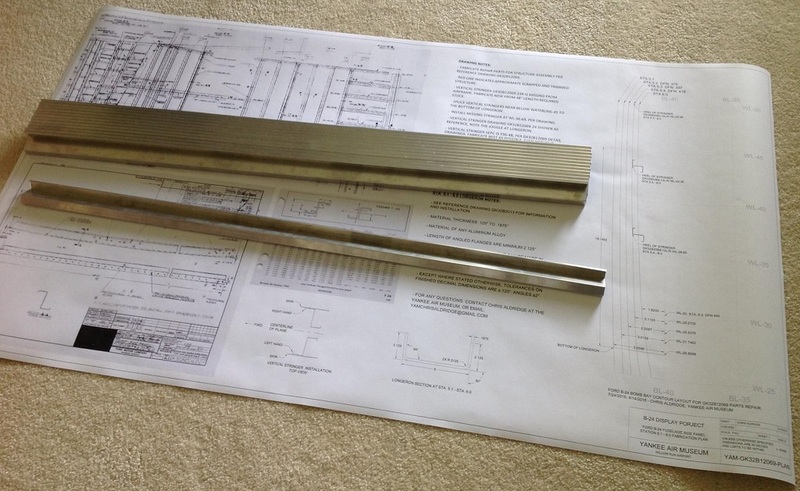 I wanted to share lessons learned and thoughts of aircraft stampings, as I had very little working knowledge to start. Great job Chris, any updates to share? I've wanted to provide an update since last posting for quite sometime. Activity have since slowed, but not completely stopped. The majority of structural work is complete with minor details of the Station 6.0 bulkhead remaining. With the museum exhibit space becoming more compact, providing project photos is now more difficult. I'll provide a new update before then end of the year. Thank you for posting the pictures. Very interested in the progress.